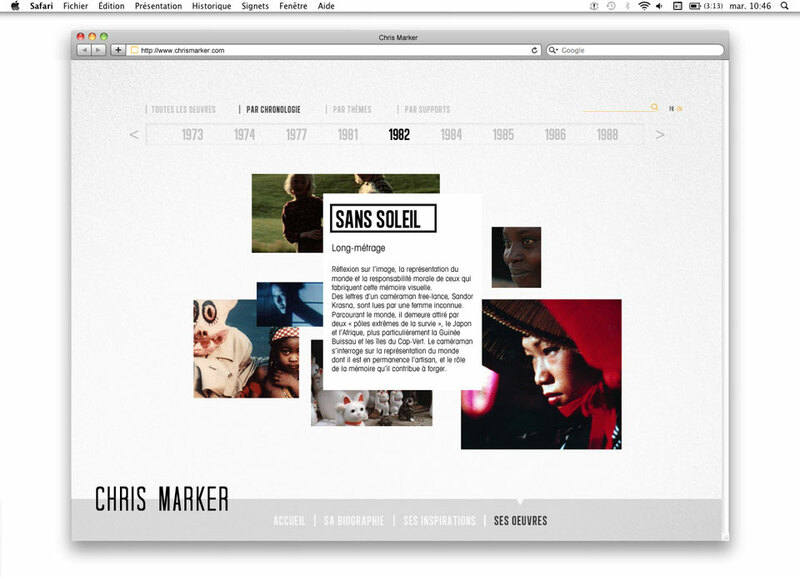 Web design for a web documentary dedicated to french director Chris Marker, whose short film La Jetée is considered as one of the most significant movies of the sixties. 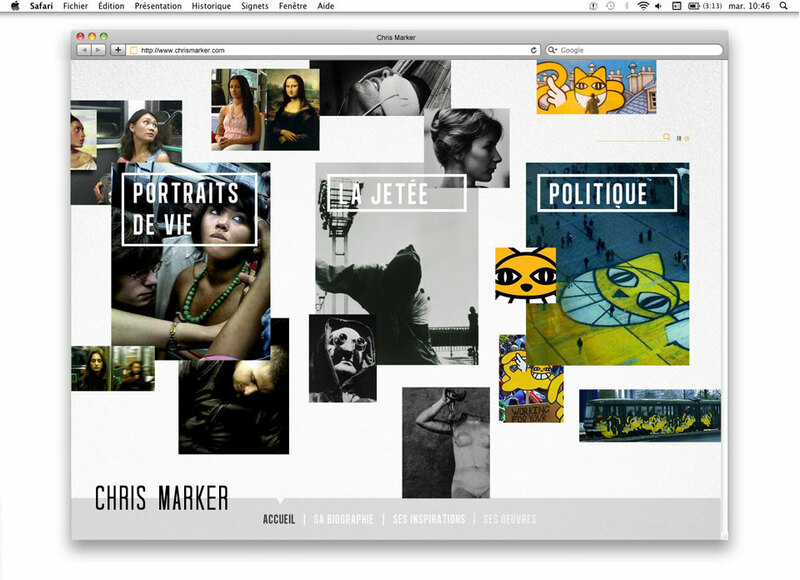 The site wants to look like a Chris Marker experience. 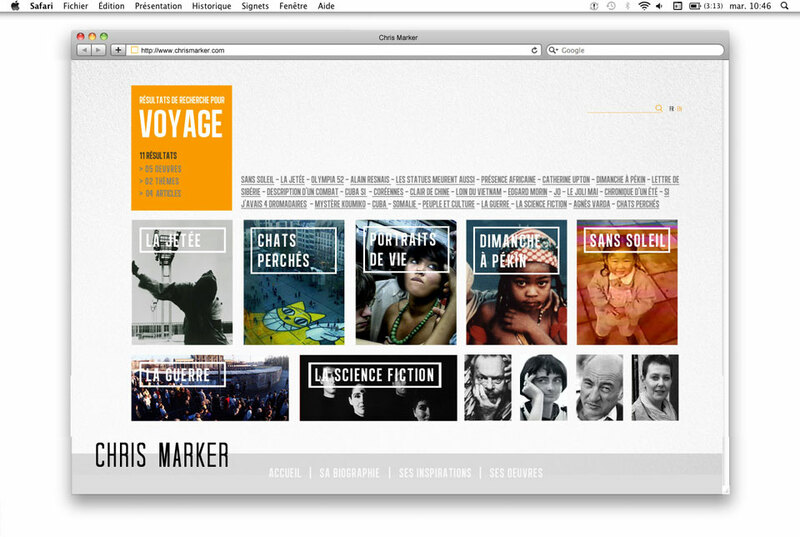 The layout and art direction evoke Marker’s protean talent and its ability to make the viewers follow one path. 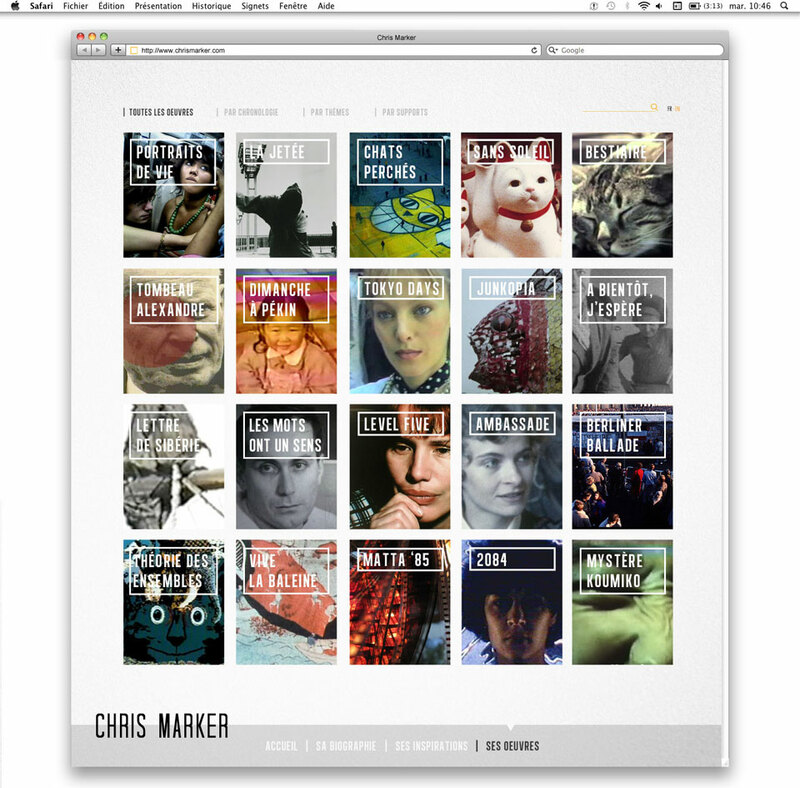 (page suggestions linked to the bottom of each page of the website.) 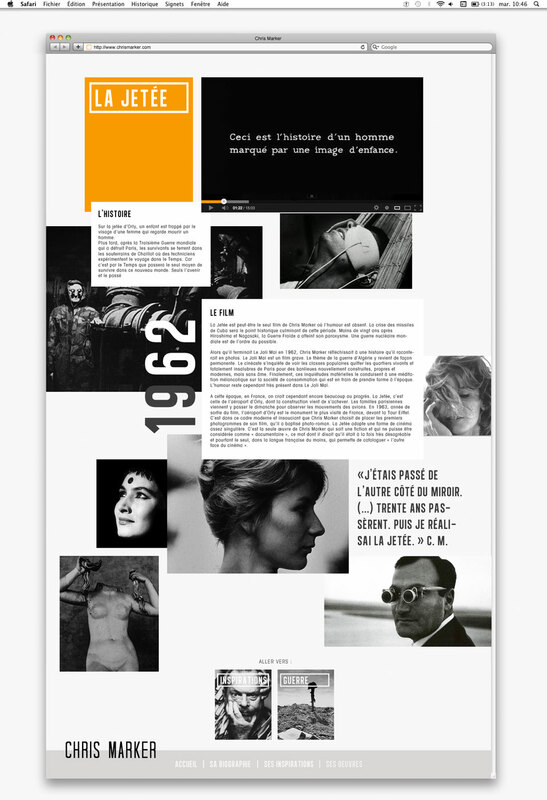 Three random subjects are highlighted on the homepage (Work, Theme or Exhibition).